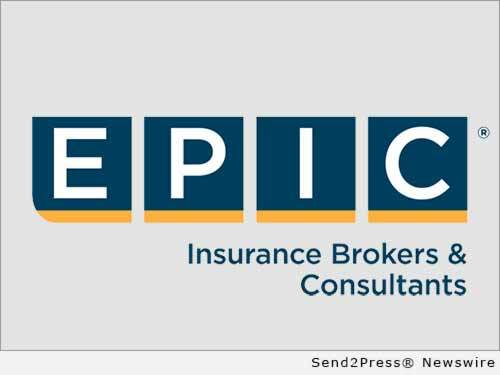 SAN FRANCISCO, Calif. /California Newswire/ — EPIC Insurance Brokers and Consultants, a retail property, casualty insurance brokerage and employee benefits consultant, announced today that Vice President Pete Smith and Benefits Strategy consultant Suzannah Gill will present at “Protect Your Business in 2017,” an employment law seminar that EPIC is both sponsoring and co-hosting. The event will take place on Wednesday, September 28 from 8:30 a.m. to 1 p.m. at The 1818 Club in Duluth, Georgia. The seminar will offer insight on understanding and complying with new employment, benefits and safety laws and will include free-flowing and interactive discussion with experts in employment law, employee benefits, risk control and safety. Additional presenters include Drew Eckl & Farnham Partners Dan Kniffen and John Chancey, HB Next General Counsel Andrew N. Gross and Consulting Operations Manager Jon Lovejoy. * Ways to avoid steep OSHA penalties and minimize your risk of being cited for non-compliance. OSHA’s new Electronic Recordkeeping Rule takes effect in January of 2017. Click here to see the full agenda: http://www.epicbrokers.com/event/protect-your-business-in-2017/.